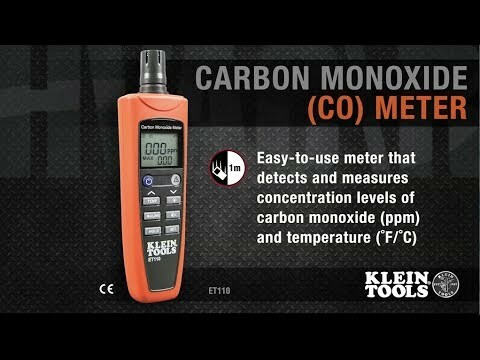 The ET110 is an easy-to-use meter that detects and measures concentration levels of carbon monoxide (ppm) and temperature (Fahrenheit/Celsius), making it the perfect choice for HVAC professionals. Features backlit LCD screen, warning indicator light, audible and visual alarms and multiple function buttons. Includes carrying pouch and 4xAAA batteries.